You might want to take your own auto parts to the mechanic for repairs to save cost and avoid extortion. Doing this isn't in your best interest. Find out why! As a human being, you are advised to visit the hospital for routine checkups. Even when you are healthy and kicking, staying away from the hospital isn’t a good idea. Being proactive is key to identify any health issues arising before it deteriorates. If you are taken unawares, you might have to spend much money than you can imagine. In worst case scenario, you might suffer grievous health implications. Replace yourself with your car and the hospital with the mechanic. That’s the same implication not taking your car to the mechanic has. For it to function properly, routine checkup is necessary. But then, Nigerian mechanics aren’t like Doctors. Hospitals often have a standard and open mode of charging; you know exactly what you are paying and why you are paying for it. Some mechanics on the other hand would want to take advantage of the situation by overbilling you. This is why some people like taking their own auto parts to the mechanic to cut down cost. So, you were able to get your own auto part at a very affordable price from a location of your choice. After fixing it on your car at the mechanic, shortly, the part gets bad. You can ‘boil’ all you want, but you have no right to vent your anger on the mechanic. He wasn’t the one who recommended the part to you. You bought it yourself, so you have to carry your cross. One of the advantages of allowing the mechanic get your auto parts is that, if it doesn’t last long, you can hold them responsible. Let the mechanics do all the job and they take full responsibility! 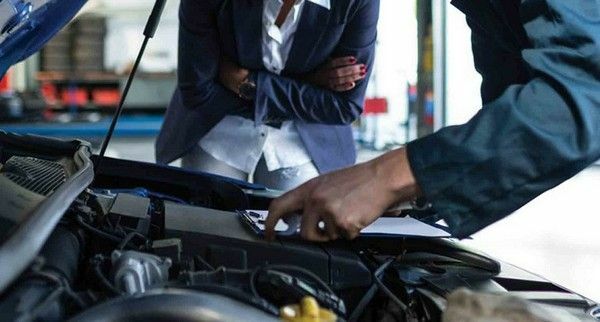 If you happen to have car insurance, you are in a better position to lay claims if the mechanic carries out repairs on your car with their own parts. It’s quite simple: you are innocent in all of it. Unknown to you, the mechanic installed sub-standard auto parts. Your insurance company will settle you accordingly, and hold the mechanic responsible legally. There’s a reason why we have mechanics; they have the technical skills to fix our cars. As much as you want to do the buying of parts yourself, the fact is that, you may not have adequate knowledge for it. In trying to save money, you might end up buying the wrong auto parts. By doing this, you endanger your life. The parts you bought might develop a fault while you are driving on the highway, putting you at the risk of a fatal accident. Imagine spending your time and energy to go buy auto parts yourself, on getting to the mechanic, you realize that the parts you got aren’t compatible with your car or other parts in it. You’ll be faced with the task of going all the way back to change it. You know how it is in Nigeria, there’s no guarantee that the person you bought it from will take it back from you. They might claim that you already made use of it. You’ll be busy fighting with them over changing the part or getting your money back while your car is still unfixed at the mechanic. Mechanics know better than you which parts have higher quality! Mechanics have been in this business for some time. The experts among them can diagnose the exert parts your car needs even if they are woken up from sleep. In getting the parts, they make use of their expertise. While you’ll be running around town to get the needed parts, they can get them with just one phone call. If the mechanic is genuine, he’ll buy part of high quality for you, so you don’t have to worry about anything. Unfortunately, finding genuine mechanics in Nigeria is a herculean tasks. Most of them are just out to enrich themselves at the expense of car owners. To be on the safer side, Naijauto advises that you patronize standard auto repair shops for your car repairs than road side mechanics. That way, you’ll have a case if something goes wrong. >>> Instead of buying your own car parts, educate yourself with our Car maintenance tips!